With our area’s booming travel industry, the fluctuations in new faces and potential customers can seemingly swing as dramatically as the Bay of Fundy’s tide. But with Valpak of Saint John behind you, your business can create long-term relationships with permanent residents of Saint John and beyond. Our print and digital channels can help you make first and lasting impressions on as many as 40,000 households in the area. Get the full picture of consumer interaction with your print and digital ads with the Valpak performance dashboard. See hard numbers on calls, clicks, coupon prints and more. Get reports every day, every week, and every month to zero in on what strategies work best for your business. Call today and get more powerful advertising solutions. Market your business to households in Saint John, Quispamsis, St. Stephen and Gagetown, New Brunswick, Canada. For specific dates and coverage, contact your Valpak of Saint John representative. 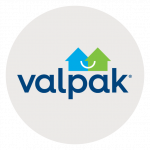 Valpak of Saint John is an independently owned Valpak franchise.